Oh how they tried to con us. Wiping out a cooling trend to make it ‘hottest ever’. With the latest paper showing that UHI is real, recent measurements should have been adjusted downward, not upward, like that found here. This is enough to make one’s blood boil! 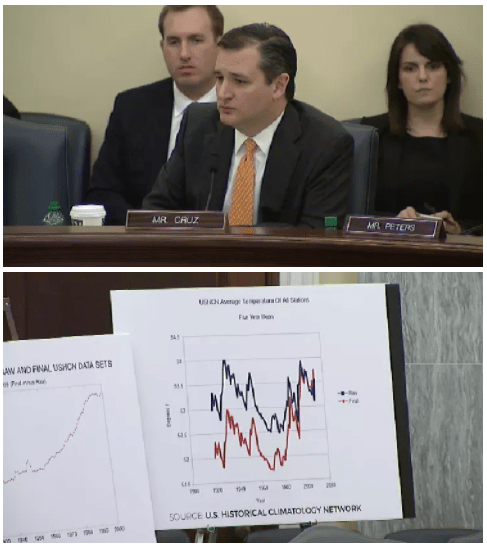 The next president of the United States has apparently been reading my discussion of data tampering by NASA and NOAA. 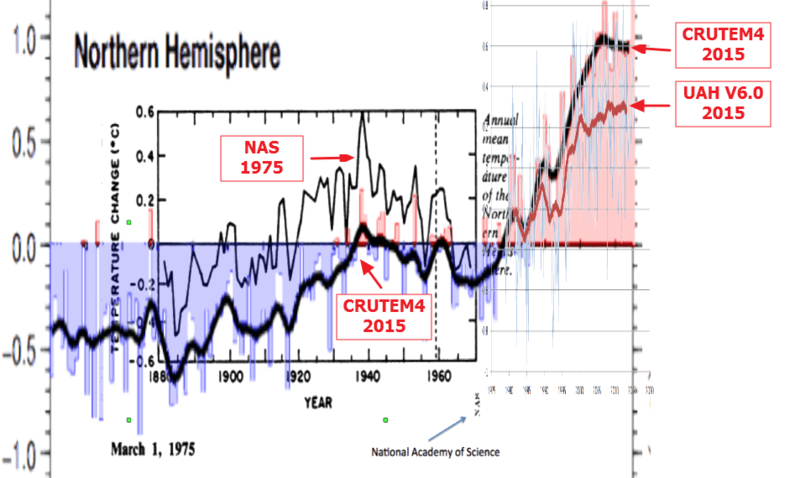 I have been documenting how NASA, NOAA and CRU are creating a completely fraudulent hockey stick of warming – by cooling measured pre-1960 temperatures, warming post-1960 Northern Hemisphere temperatures, and ignoring satellite data which actually measure troposphere temperatures where the greenhouse effect occurs. Let’s take a closer look at that. 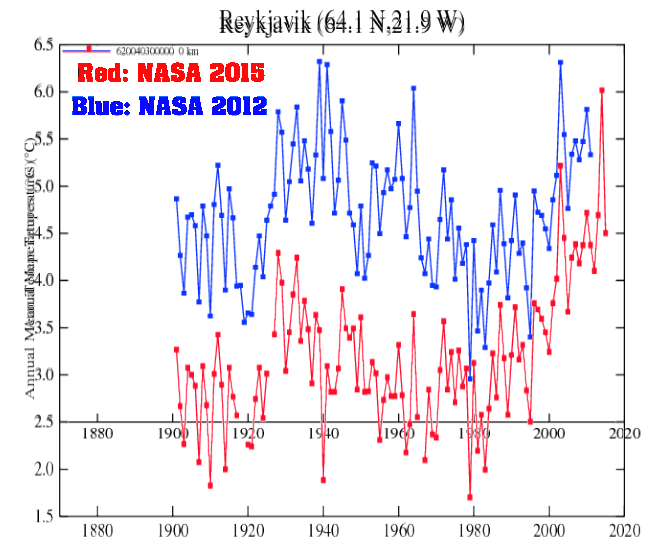 Before data tampering, Gavin shows that the 1930’s were the warmest decade at the capital of Iceland. But after data tampering, the 1930’s warmth disappears. 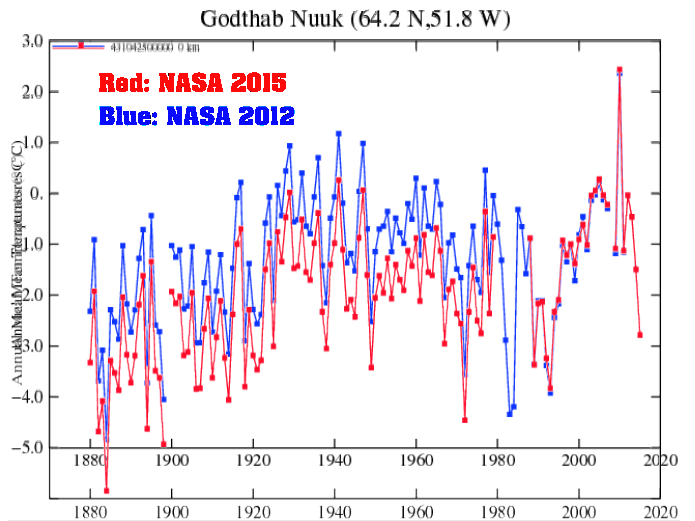 This overlay shows how NOAA and NASA have butchered the data to make the 1930’s warmth disappear. Same story at the capital of Greenland. This entry was posted in Climate, comedy, science, weather and tagged alice springs, data tampering, gavin schmidt, greenland, iceland, john ray, nasa giss, steven goddard. Bookmark the permalink.